Our third stop was Manaus. This small city was a boomtown during the days of the Brazilian monopoly on rubber production. 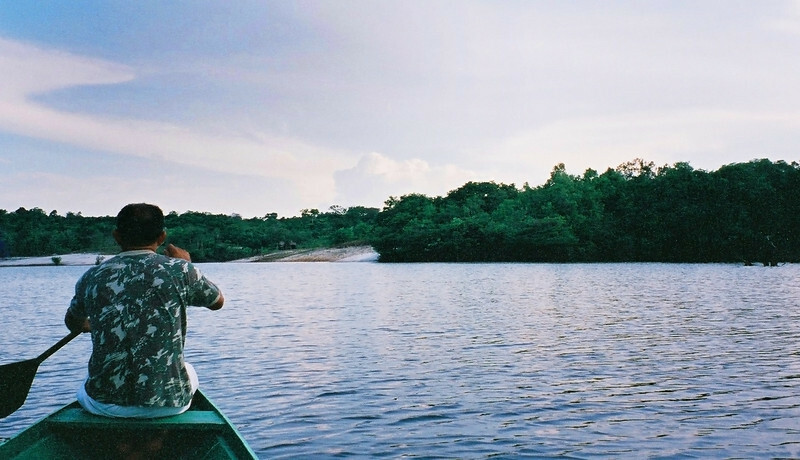 We travelled by boat from the port of Manaus for about an hour until we reached the Amazon Ecopark Lodge. Highlights included nature hikes in the jungle, tons of wildlife and visits to native villages and the "meeting of the waters" where the two main tributaries of the Amazon collide but do not mix for several miles. The contrast of black and silty waters in one river is a strange sight. So close to the equator and in the middle of the Amazon raiforest, this was one of the warmest and most humid places we've ever experienced.